Amo Singapore is a new casual Italian restaurant by the Beppe De Vito, the man behind the il Lido Group which has several restaurants such as &Son, Osteria Art, Southbridge, Braci and il Lido under the group's umbrella. 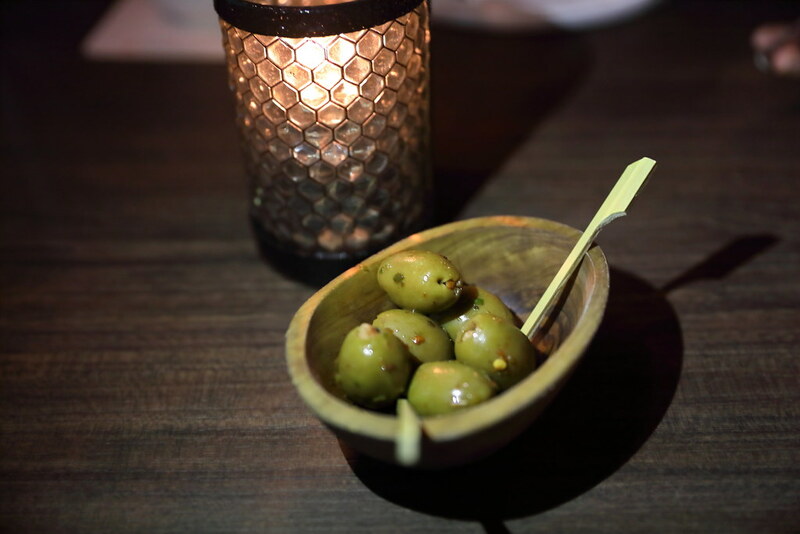 Upon seated and and placing our order, we were served complimentary olives. We started with the Crispy Calamari with Sumac and Sundried Tomato Aioli ($22). This is probably one of the best calamari that I have eaten. 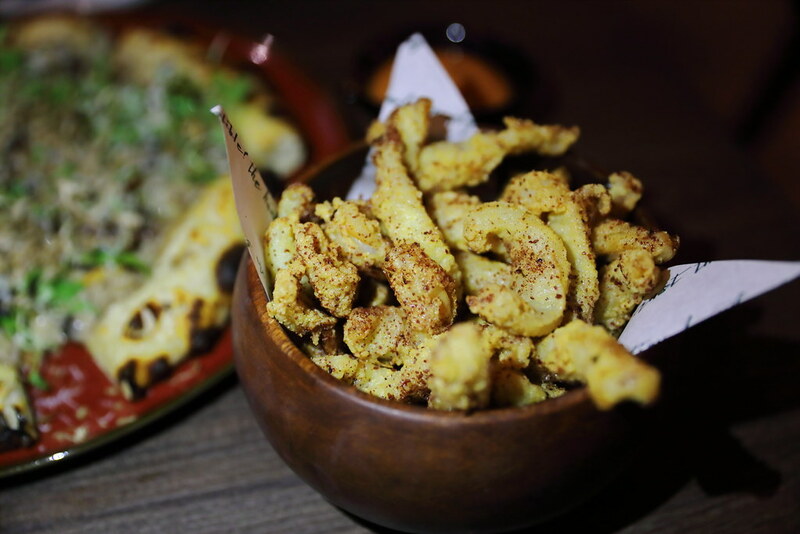 The calamari was coated in a light batter for a delighting exterior crisp while the innard is soft and bouncy. 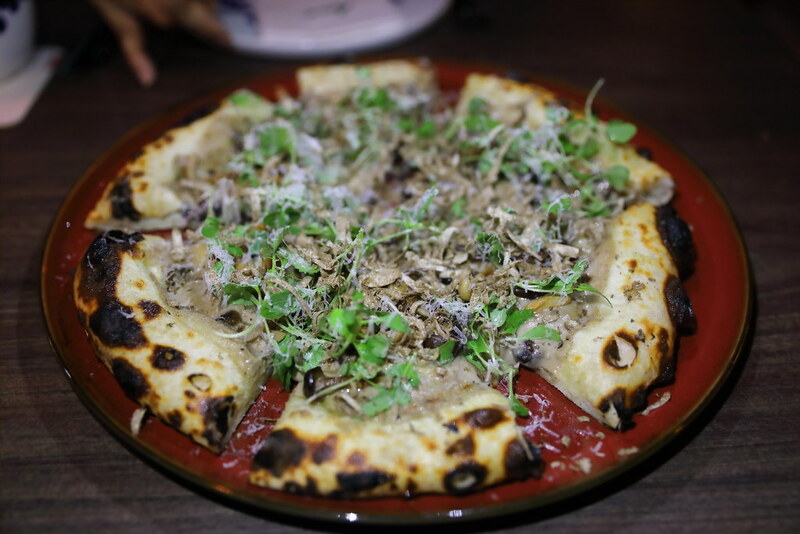 Next we have the Mushrooms, Truffle, Mascarpone and Tuscan Pecorino Pizza ($32) for sharing. The fluffy pizza has a good bite to it complemented by the various toppings. The flavours and texture were spot on. However, I was disappointed that my pizza was not served hot. If not I would have given it a much higher rating. Lastly we ordered Grilled Angus Beef Agliata with Sunchoke Fries ($48). The meat is cooked to a nice pink with a nice crust surrounding it. 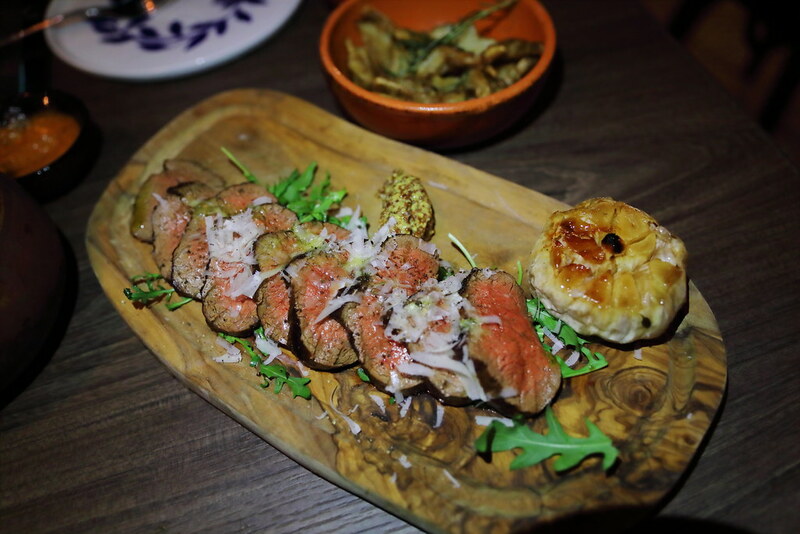 I also enjoyed the grilled garlic, which I like to mash it and spread it onto the beef. It seems to elevate the flavour further. Overall, the food at Amo Singapore is really good and enjoyable. The place can get pretty crowded and noisy. Not sure is it because of the mosaic tiles and brick wall, the noise volume is pretty loud, as if one is in a crowded pub. While the food is good, it may not be ideal for an intimate dining date.